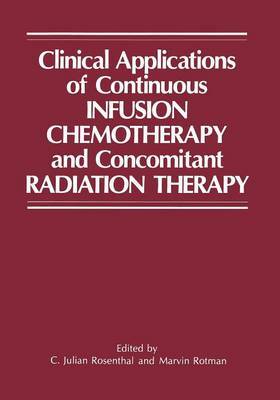 The first conference on concomitant infusion chemotherapy and radia- tion therapy was organized with the intention of bringing together some of the investigators who have tested, during the last few years, the hypo- thesis that continuous infusion chemotherapy could modulate the cytotoxic effect of radiation therapy to the point of having a strongly additive, if not synergistic activity on certain malignant tumors. This volume represents the detailed proceedings of this conference presented in a way that offers the reader a review of the on-going re- search in the field. We have stressed a number of subjects from basic biologic research and influence of cell kinetics to the practical methods of drug delivery systems and early clinical experiences. The rationale for this new type of combined modality therapy has been presented by some of its pioneers. Early clinical investigations as well as the preliminary data of many that have not yet completely matured have also been included. The reader should look at these data with some reser- vations. Ultimately, these results must be confirmed by larger prospective randomized studies with proper controls before becoming accepted as the treatment of choice in locally advanced tumors.